July will be a huge tournament month for Chicago’s best golfers, but especially for the women. The biggest spectator event for the women comes first – the new International Crown at Caves Valley in Owings Mills, Md., from July 21-27. This is big for Chicago in particular, because the international team event’s second staging – and maybe more after that – will be played at Rich Harvest Farms in Sugar Grove in 2016. Get familiar with the event now, and you’ll be a big fan when it comes to Chicago. But more on that later. The day after the International Crown ends the Phil Kosin Illinois Women’s Open will tee off at Mistwood, in Romeoville. It’ll be the tourney’s 20th anniversary, and the 16th year it has been played at Mistwood. Interestingly, Illinois golfers haven’t fared so well in their premier state championship and a Mistwood player has never won. This year’s July 28-30 staging could be different – sort of. It all depends on how Troyanovich fares. Her story is an interesting one. Troyanovich was a Michigan amateur and recent graduate of Tulane University when she took the 2012 title. That automatically made her a Mistwood member, but Troyanovich didn’t take advantage of the perk offered by owner Jim McWethy immediately. That mission accomplished, Troyanovich left Michigan in search of a career in professional golf. She worked during the winter with Jim Suttie, the well-regarded instructor who teaches at Mistwood, during the winter in Naples, Fla.
After that she took up residence in Naperville in May so she could work with Mike Baldwin, who directs Mistwood’s upscale new Performance Center. “The first time I played the Illinois Women’s Open it was a shot in the dark. I had no idea what it’d be like,’’ she said. Now she does. 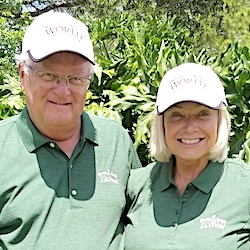 WATCHING THE CROWN: Though Rich Harvest won’t host the global team event until 2016 owner Jerry Rich and his staff are already making the competition something special. They’ve developed a series of watch parties, much like the Blackhawks put on at various locations during their long run in the Stanley Cup playoffs. Fans of the various countries will have a location where they can watch the competition live. One will be held from July 25-27 on a jumbotron at the Sugar Grove Corn Boil. Others are scheduled on July 26 at the City Gate Center in Naperville and the Stonegate Conference Center in Hoffman Estates. Rich Harvest members and their guests will have their own version on the final day of this year’s Crown, on July 27. REMEMBERING PAYNE: This year marks the 25th anniversary of Payne Stewart’s first win in a major championship. The breakthrough came at the 1989 PGA Championship at Kemper Lakes and the Kildeer club, which went private in 2003, celebrated that occasion as well as its own 35th anniversary with a Payne Stewart Legacy Night during the week of the Encompass Championship. The Stewart Legacy Night also was the last event for Janet Dobson, the club’s general manager. She announced her retirement after 35 years at the club and John Hosteland was promoted from head professional to GM as Dobson’s replacement. MOVEMENT AT MEDINAH: The No. 3 course at Medinah Country Club got plenty of attention in recent years as it was prepared for U.S. Opens, PGA Championships and the 2012 Ryder Cup. That was understandable, but it also worked to the club’s disadvantage. The demand for play on No. 3 made it difficult for members to get tee times, but that won’t be a problem any longer. Renovation work on the No. 1 course started the day after the Ryder Cup ended and it was opened for play in July. Michigan architect Tom Doak supervised the renovation, the end result being his first creation in Illinois. No. 1 is expected to lessen play on No. 3. Members are excited about the new layout, and their guests will be, too. And that’s not all. Club president Matt Lydon expects a restoration of the No. 2 course, designated mainly women and youth, will begin next fall. MILESTONE FOR CANTIGNY: The Illinois State Amateur is coming to the 27-hole Wheaton facility from July 15-17. It’ll be the fourth time Cantigny has hosted that big event, and this staging falls during the facility’s 25th anniversary. 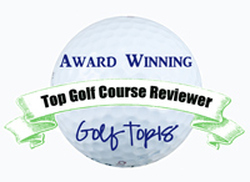 In 1989 it was selected as the Best New Public Course in America by Golf Digest, and its reputation has only been enhanced over the years. The State Am was previously played at Cantigny in 1996, 2002 and 2008. The Chicago Open, revived at Cantigny last October, will also be held there this fall.